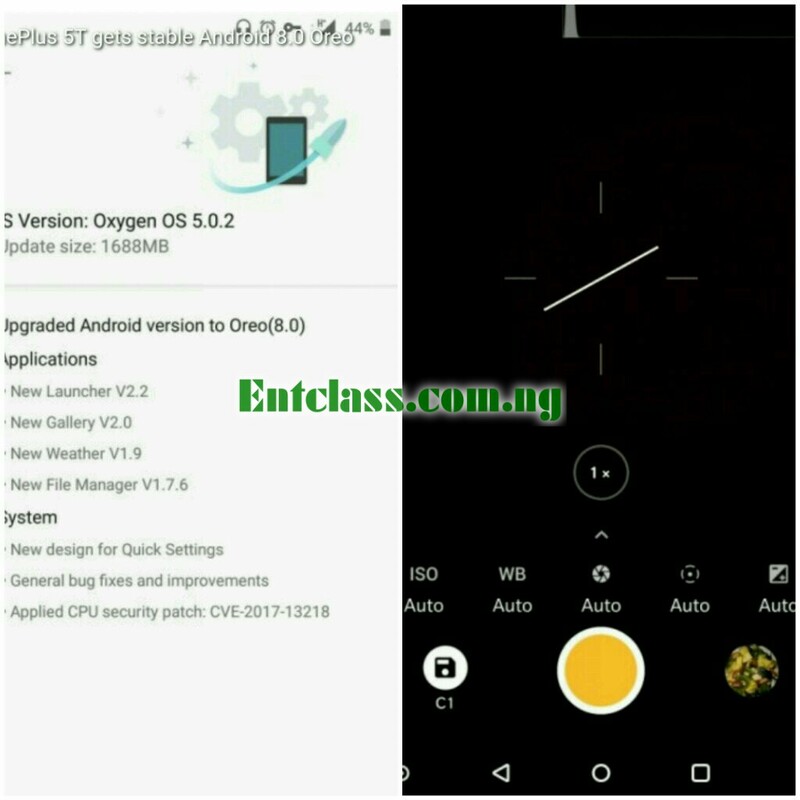 The OnePlus 5T that was launched in October 2017 has started receiving Android Oreo 8.0. The update will be rolling out to some users before it goes global after some testings. The update will be coming based on OxygenOS 5.0.2 with cool features. Some of the features includes Quick settings as well as new versions for some system apps. The update also fixed some bugs against Spectre-style attacks. File manager app was updated to v1.7.6. The update will be arriving via OTA (over the air) and would roll out globally in the next few days. I like makers that offer regular updates, nice.